Chronic inflammation is suspected to have a role in breast carcinogenesis. Results of studies of non-steroidal anti-inflammatory drugs (NSAIDs) and breast cancer have been inconsistent. Timing of exposure and analysis of individual NSAIDs should be considered. We conducted a population-based case–control study in western New York State between 1996 and 2001. Cases, 35–79 years, had incident, primary, histologically confirmed breast cancer (n = 1,170). Controls (n = 2,115) were randomly selected from NY Department of Motor Vehicles records (<65 years) or Medicare rolls (≥65 years). Participants were queried on use of aspirin, ibuprofen, and acetaminophen in the year prior and on aspirin during adulthood. Unconditional logistic regression was used to estimate adjusted odds ratios (OR) and 95% confidence intervals (95% CI). Recent aspirin use was inversely associated with breast cancer risk (adjusted OR 0.80, 95% CI: 0.68–0.94); the strongest reduction in risk was observed among those who took ≥2 pills/day on days that aspirin was taken (OR 0.74, 95% CI: 0.61–0. 90). 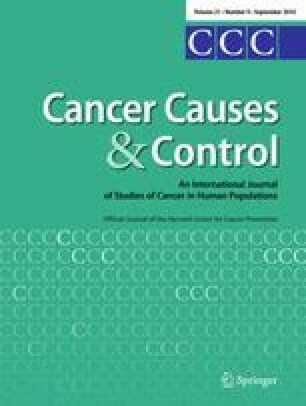 Adult lifetime use was also associated with breast cancer risk (>10 days/month, adjusted OR 0.68, 95% CI: 0.46–1.00). Use of ibuprofen or acetaminophen was not associated with breast cancer. This is the first study to investigate the association of adult lifetime aspirin intake with breast cancer risk. Our findings provide evidence that aspirin use throughout a woman’s life may confer some benefit. This work was supported in part by grants DAMD-17-03-1-0446 and DAMD-17-96-1-6202 from the US Department of Defense, and NCI RO1CA92040, P50-AA09802, and R25-CA94880 from the National Institutes of Health, National Cancer Institute.